The College of Applied Medical Sciences, represented by the Vice Deanship for Development and Community Services, will hold an event titled “From My Life Comes Another Life” on Sunday, Rajab 1, 1438H, at Souk AlDiyafa in Makkah. The event will be organized in cooperation with the Saudi Center for Organ Transplantation, Saudi Stem Cell Donor Registry, and Alkhayyat Charitable Center for Dialysis. The event aims at raising the society’s awareness about the objectives and benefits of blood, stem cells and human organs donation. This comes as a part of activating the role of the College and University in spreading the culture of health awareness between the individuals in the society, which is an important and essential role for the university in general. The College spares no effort to undertake its role in this regard; as it keeps on holding a number of important events that highlight the College’s awareness about its society and atmosphere and contribute to solving its problems. 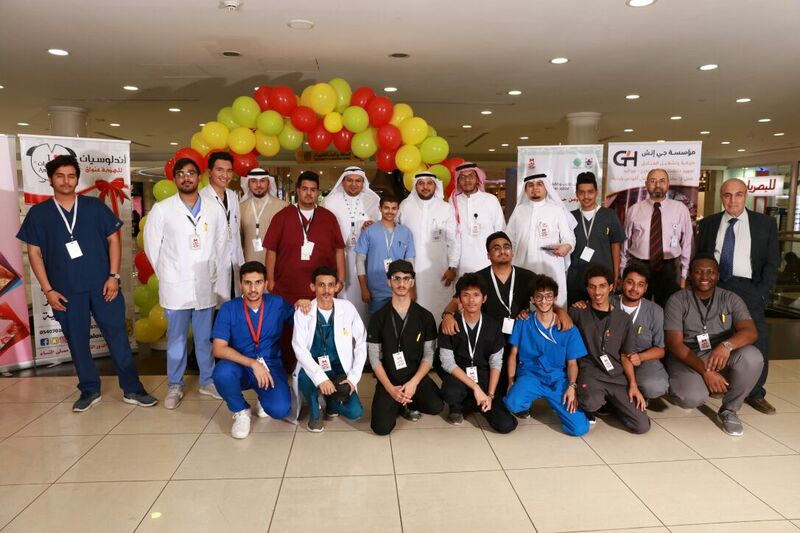 The participating students were thanked for contributing to the success of the event, as they usually do to lift the name of the College high.